United Plating Works, Inc. is a Federal Aviation Administration approved Repair Station specializing in metal finishing in the Aerospace, Defense, Oilfield and Manufacturing industries. United Plating Works, Inc. was started in 1953, on this location, by Meredith Sutton and S.A. Bergman. In 1971 Mr.’s Sutton and Bergman turned over the reins to 5 long time employees Richard Lowther, Bobby Wilson, Richard Helberg, Jack Breedlove and Richard Stiger. Current President Fred Block began his employment with UPW in 1989. Vice Presidents Heather and Jackie Dodgin started in 1999. 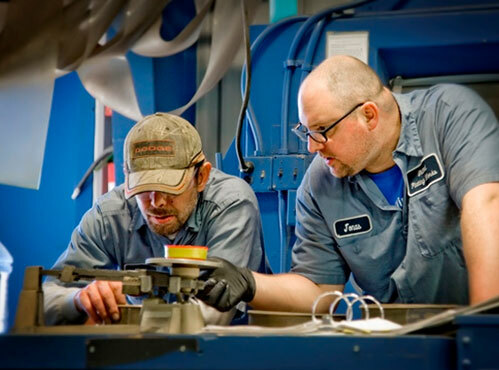 United Plating is proud of its reputation for providing an exceptional service for its customers.